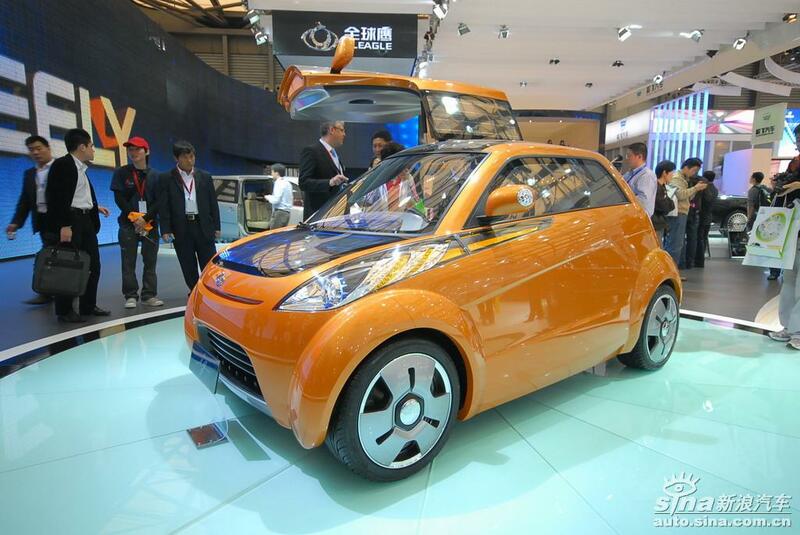 If a local Chinese automaker wants to challenge the Smart, then they should do it with something like this, the Geely IG Fantastic (and not this, the Shuanghuan Bubble). It’s kooky, and the headlights almost meet the taillights, but most importantly it’s original. 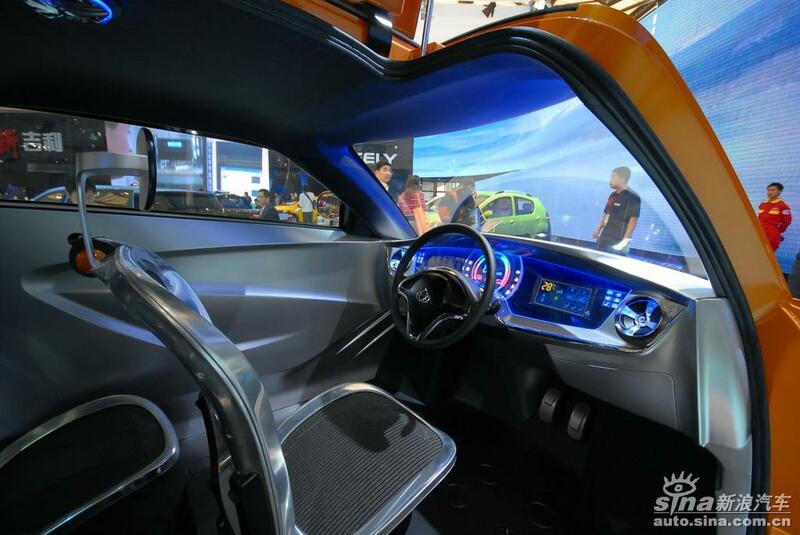 It also looks to be a three-seater with the driver sitting front and center, flanked by two seats behind. And there’s only one door, on the passenger’s side. 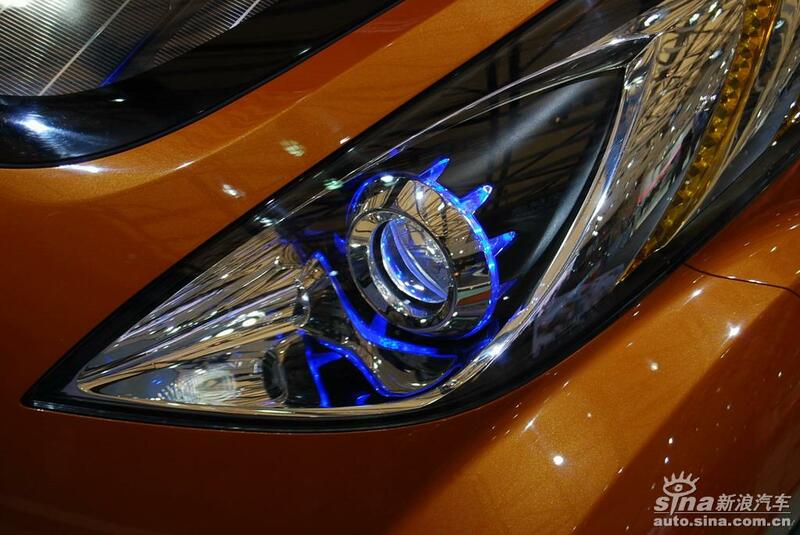 Nifty, and we give it three cheers for Geely. The Chinese have a reputation for being diligent workers, and that is certainly true of Geely, who were so keen to demonstrate their inventiveness that they presented no fewer than twenty new models at the Motor Show in Shanghai. 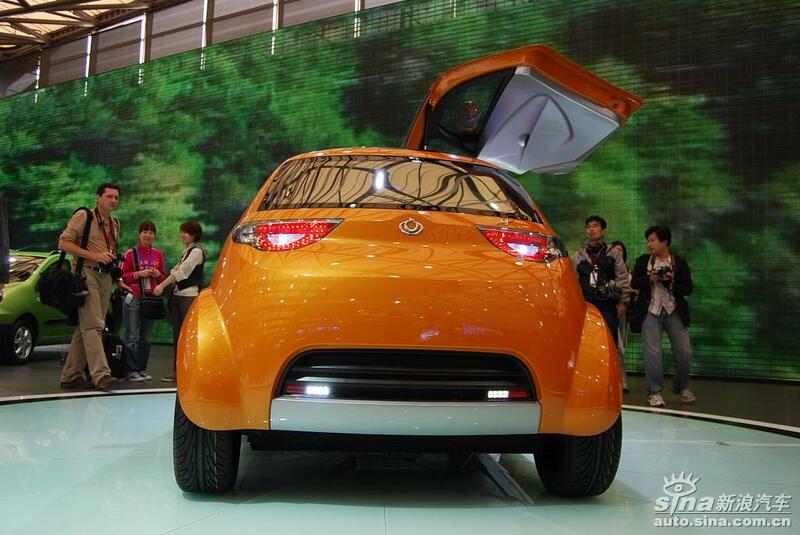 In the IG Concept, Geely have come up with an economical and clean car that is perfect for the hectic traffic conditions in the bustling megalopolises of the People’s Republic. 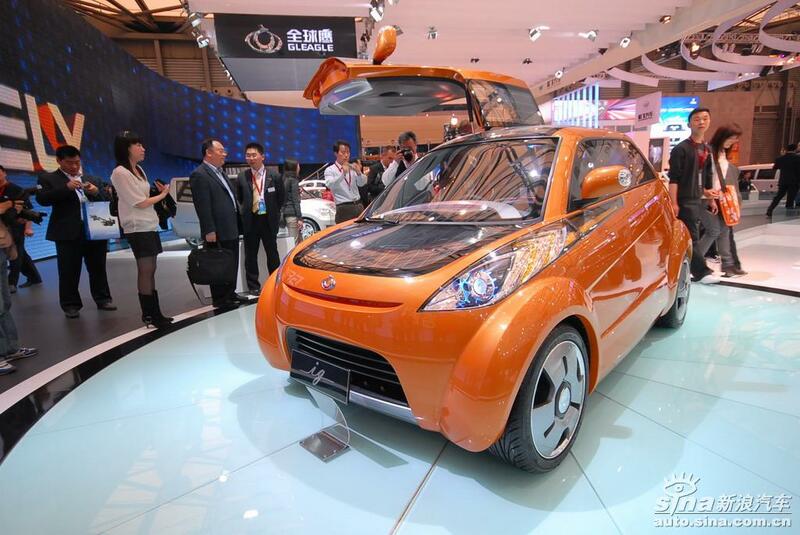 The Geely IG is an electrically powered three-seater concept car. 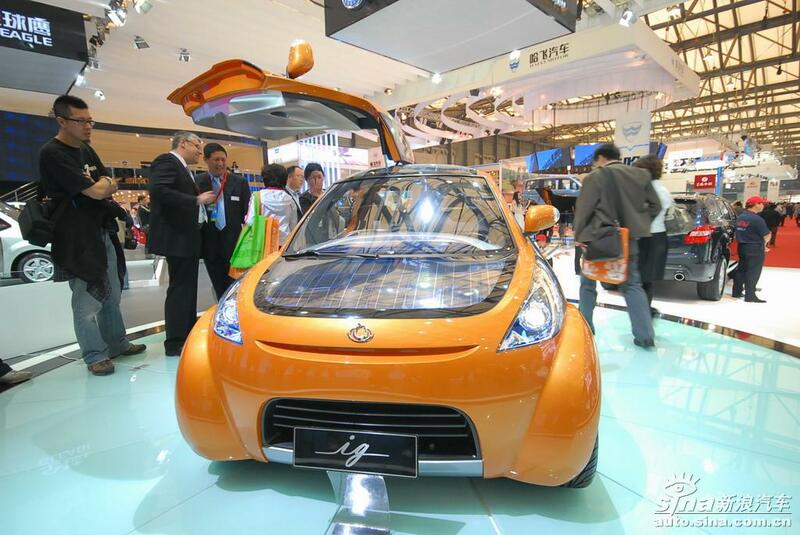 The vehicle is driven by lithium-ion batteries that are partially charged by solar cells on the roof and bonnet. The Geely IG driver sits on his own behind the wheel, while his two passengers occupy more comfortable individual seats behind. One further gimmick on this electro-runabout is the gullwing door on the driver’s side, intended to make it easier for the two rear passengers to get in and out.